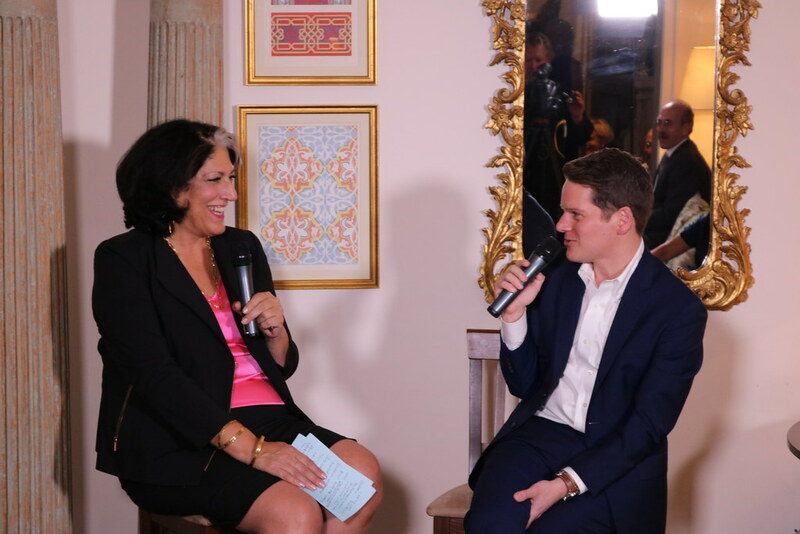 DC’s biggest names descended on the house of Hilary Rosen to celebrate the latest novel from The Imitation Game screenwriter Graham Moore, The Last Days of Night. Moore’s last project, The Imitation Game, which tells the story of mathematician and codebreaker Alan Turing, won the Oscar for Best Adapted Screenplay, and his heartfelt acceptance speech has become the stuff of legend. Moore’s latest novel tells the story of the rivalry between Thomas Edison and George Westinghouse, the early days of electric light in America, and the eventual billion dollar lawsuit that went all the way to the Supreme Court. The novel also features appearances from other historical figures such as Nikola Tesla and JP Morgan. Susan Sher, former Chief of Staff to First Lady Michelle Obama and Moore’s mother, was there to celebrate her son’s accomplishments with assistance from Valerie Jarrett, Senior Advisor to Barack Obama. Tammy Haddad interviewed Moore about his new book and the reaction to his Oscars acceptance speech. Also in attendance were Homeland Security Secretary Jeh Johnson, former California Rep. Jane Harman, Tony Fauci and Christine Grady, author Sally Quinn, Executive Vice President for Time Warner Carol Melton, corporate consultant Juleanna Glover, Howard Fineman and Amy Nathan, Director of the White House Visitors Office Ellie Schafer, S&R Foundation Artistic Director Septime Webre, Director of Branding & Communication at Lafayette 148 New York King Chong, Shinola’s Tom Forrest, Bloomberg’s Washington Bureau Chief Megan Murphy, Marc Adelman, VP of Communications for CNN Matt Dornic, Managing Editor of Bloomberg News Craig Gordon, and BSA President Victoria Espinel. You can also purchase Graham Moore’s new novel The Last Days of Night here. In this special debate edition of Bloomberg’s Masters in Politics podcast Tammy Haddad was in attendance at Monday’s debate and went inside the spin room to interview top campaign officials including Donald Trump himself, former NYC Mayor Rudy Giuliani, and Hillary campaign chairman John Podesta. Haddad also interviewed architect of Obama’s 2008 campaign David Plouffe, retired Lieutenant General and current Trump surrogate Mike Flynn, the Clinton campaign’s chief strategist and Masters alum Joel Benenson, and Trump senior advisor Sarah Huckabee. 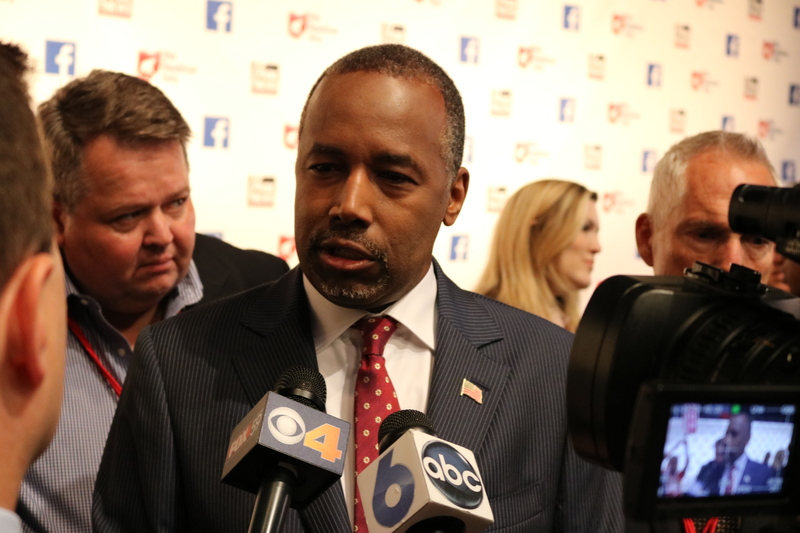 You can check out more of Masters in Politics’ coverage from the spin room here. Hillary Clinton and Donald Trump are set to face off in the first presidential debate of the 2016 election of at Hofstra University in Long Island, New York, and will be moderated by NBC’s Lester Holt. 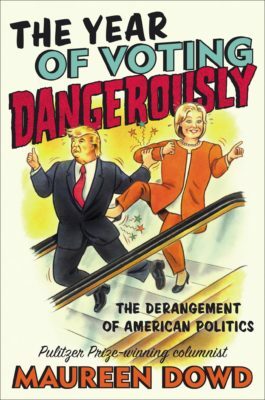 Experts are suggesting that the worldwide audience for the debate could top 100 million viewers, on par with television spectacles like the Super Bowl, meaning it could generate the biggest debate audience ever. The last time a debate drew an audience of over 80 million viewers was the 1980 presidential debate between Jimmy Carter and Ronald Reagan, which remains the most-watched presidential debate ever. 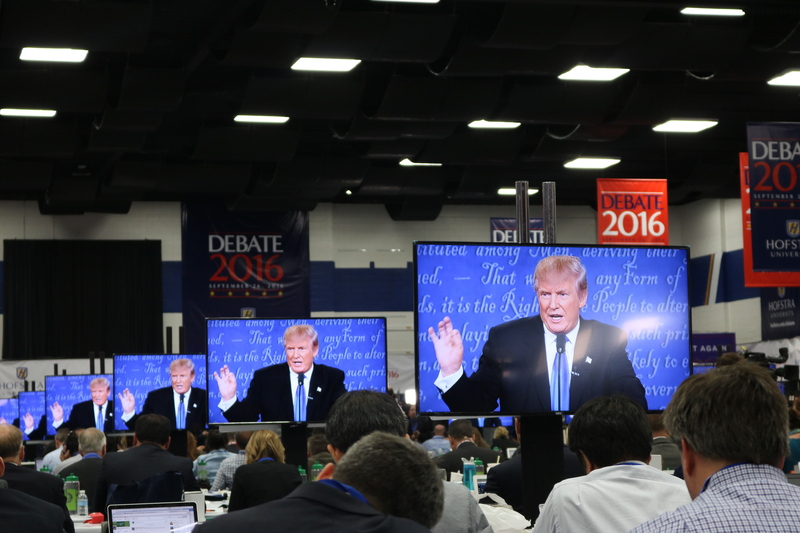 The debate at Hofstra will almost certainly surpass the previous presidential debate’s ratings. In 2012, the three debates between Mitt Romney and Barack Obama averaged around 67 million viewers. Expectations are high that this debate will shatter records. The first Republican primary debate, held in August 2015, was the most watched primary debate ever. The debate will be available for live stream on more platforms than ever. Aside from all the major cable news channels, social media sites like Facebook and Twitter, as well as Youtube, will make streaming the debate available to their viewers. Subscription streaming service Hulu will also air the event as well as online news outlets such as The Huffington Post and Politico. 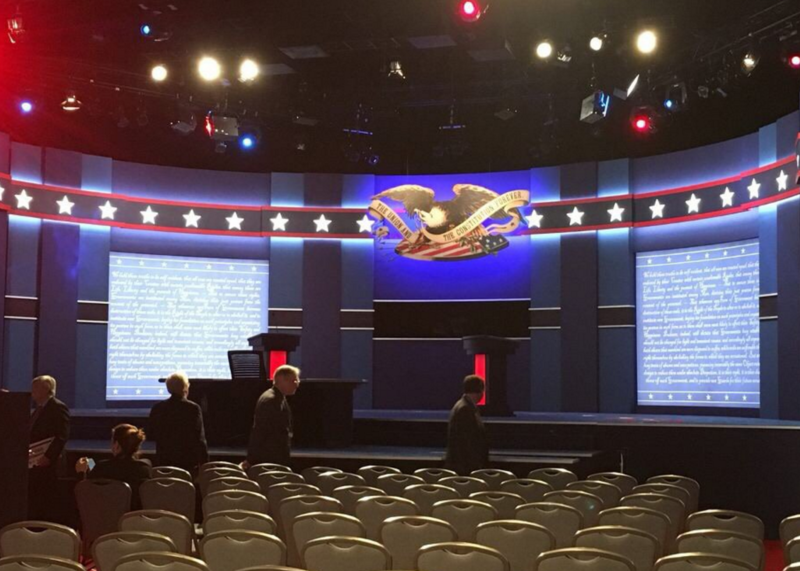 Reports from cable networks indicate that ad space is sold out for the remaining presidential debates. You can found out more on the stakes of the debate as well as stream it live here. You can find photos from the big event below. This year’s Samuel J. Heyman Service to America Awards, better known as the Sammies, honored the finest in government service. 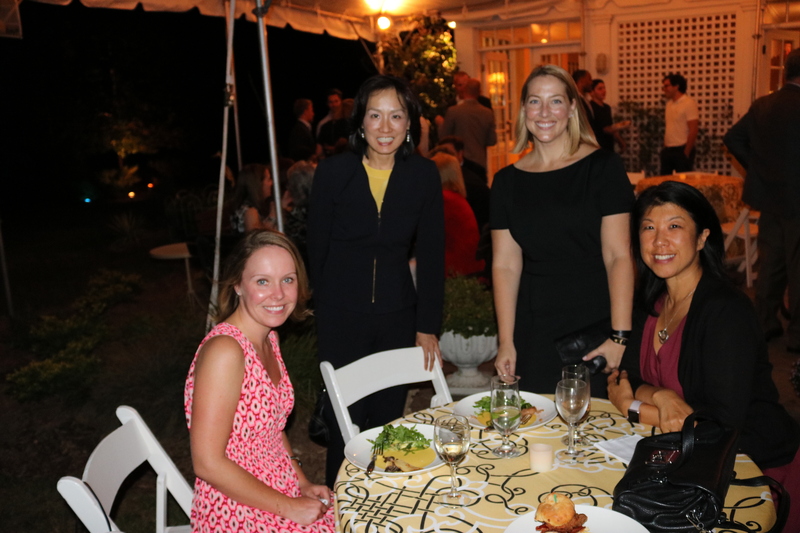 The event was held Tuesday, September 20th at the historic Andrew Mellon W. Auditorium. 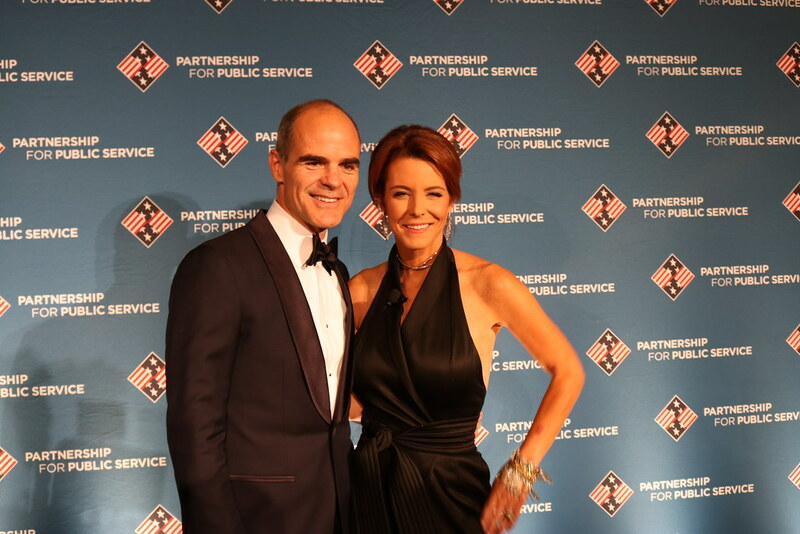 Hosting the big event were Michael Kelly, who plays Doug Stamper on Netflix’s House of Cards, along with NBC’s Stephanie Ruhle. Together they added humor and wit to the night’s proceedings. 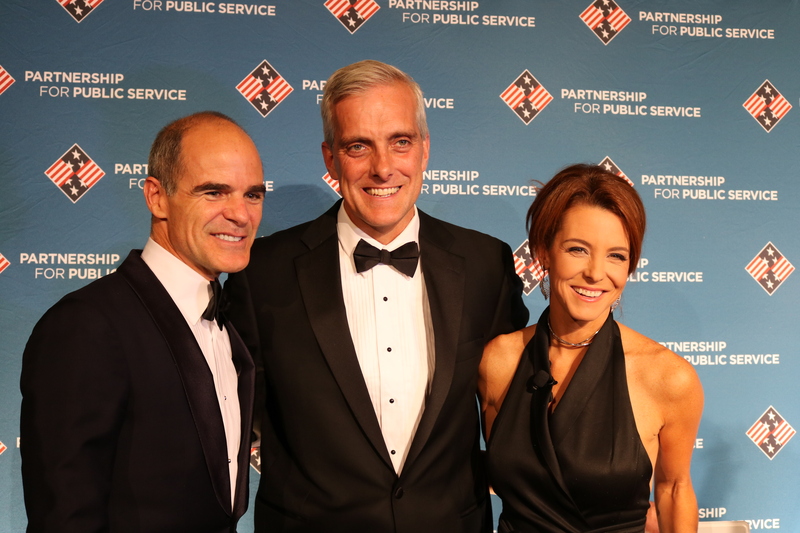 White House Chief of Staff Denis McDonough caught up with Michael Kelly, who portrays the role McDonough fills in real life. At the winner’s reception, they got a chance to thank and mingle with the winners of this year’s awards. 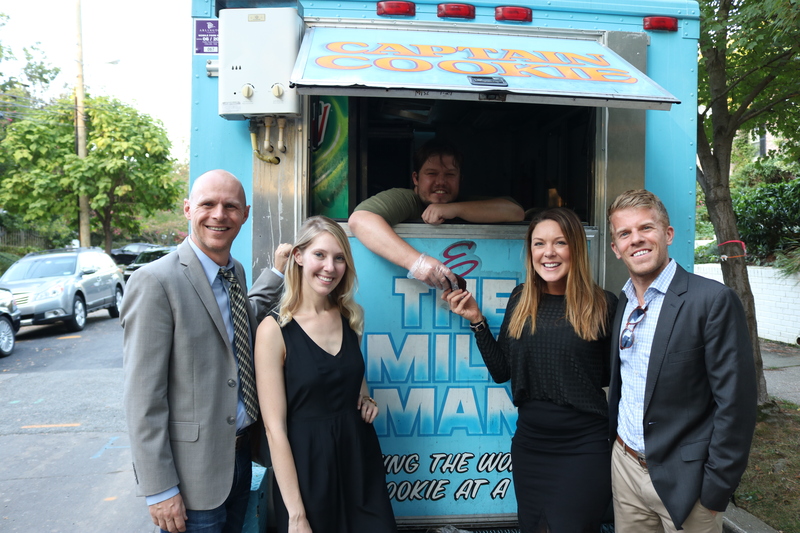 You can read more about the event and the winners of this year’s Sammies here. The Partnership for Public Service’s 15th annual awards gala the Samuel J. Heyman Service to America Medals, or the Sammies, will be held at the Andrew W. Mellon Auditorium this evening. Known as the Oscars of civil service, the Sammies will honor the federal employees who made the biggest contributions to American life. Civil servants often don’t get credit for their work and the Partnership for Public Service is using this night to give credit where credit is due. 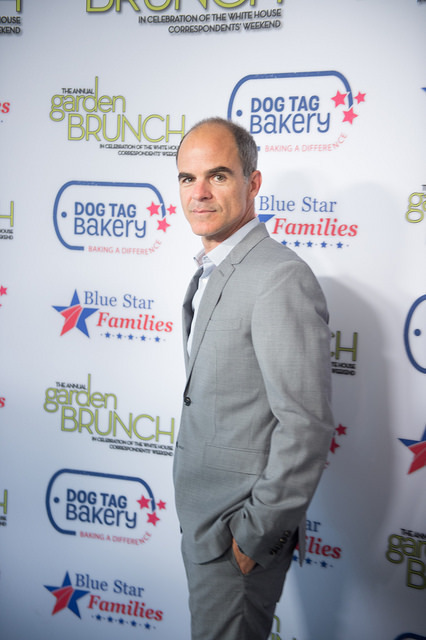 The emcees of this year’s awards will be House of Cards’ Michael Kelly, who plays the ruthless Chief of Staff Doug Stamper to President Underwood, and NBC’s Stephanie Ruhle. The recipients of Sammies awards save lives, innovate, discover, and preserve national security. This year’s Federal Employees of the Year award will go to Jean Moody-Williams, Dennis Wagner, and Paul McGann, a team from the Centers for Medicare and Medicaid Services who were able to reduce hospital-acquired medical conditions by 40%. Among the other winners includes Jaques Reifman, who invented a device for army medics in the field to find out if they have internal bleeding. Undetected internal bleeding is the number one cause of death for war casualties and this device has the potential to save many of these lives. Another is Tate Jarrow, who has lead the Secret Service in investigating some of the biggest cybercrime cases in history. Jarrow will receive this year’s Call to Service award. Another outstanding public servant will be honored tonight is Kirk Yeager, the FBI’s top explosive scientist, who will receive the National Security and International Affairs Medal for his work in training local bomb squads in how to handle live explosives. The nonprofit, nonpartisan Partnership for Public Service is an organization who makes government more effective with a number of programs like mentorship programs for incoming government workers, inter-agency briefings to decrease overlap between agencies, and courses to ensure federal employees have the most up to date training they need. You can read more about this year’s winners here. The live feed for the Sammies can be found here. It was another golden night at the 68th annual Emmy Awards for HBO’s VEEP. Julia Louis-Dreyfus a.k.a. President Selina Meyer, kicked off the gala with one of the evening’s biggest laughs with her cameo in the opening vignette: Emmy host Jimmy Kimmel discovers she’s riding in the back of a limousine driven by former Republican presidential candidate, Governor Jeb Bush. This year, the beloved actress took home her fifth consecutive win for Outstanding Lead Actress in a Comedy Series. During her acceptance speech, she charmed the crowd by apologizing for her show’s unintended influence on the current political climate. Her win was a poignant won, when Louis-Dreyfus revealed her father William Louis-Dreyfus passed away on Friday at the age of 84. 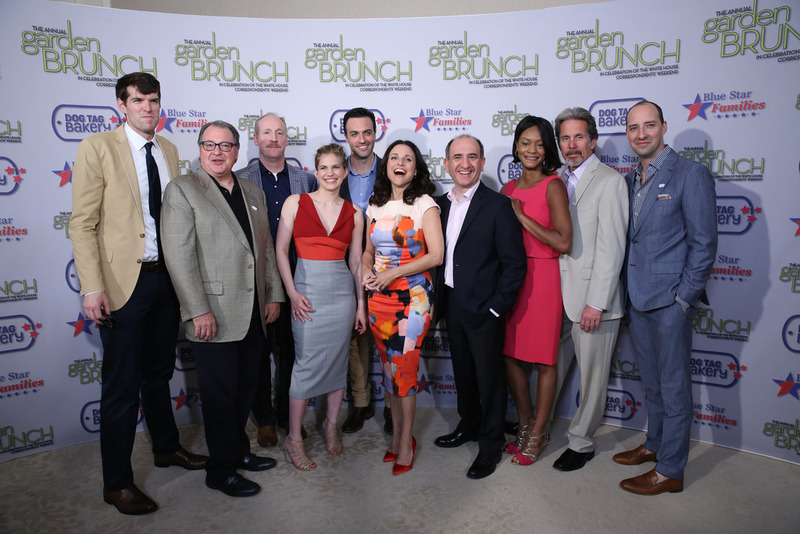 VEEP won the top prize from the Television Academy for Outstanding Comedy Series for the second year in a row. Afterwards, VEEP Emmy winners Dave Mandel, Lew Morton and Peter Huyck were seen entering Jimmy Kimmel’s after party which included every major comedy player from James Corden and Jimmy Fallon to Chris Rock and Amy Schumer. Tom Arnold to Jeff Ross, Matt Damon to Kit Harrington and Sophie Tucker. John Mayer dancing to a rockin band, while guests dined out on gourmet liquor, BBQ, and Pizza. The no photos rule gave the 300 or so guests an intimate vibe, but the crowd cheered for Veeples Tony Hale, David Mandel, Lew Morton and Peter Huyck. On the latest episode of Bloomberg’s Masters in Politics podcast, hosts Tammy Haddad and Betsy Fischer Martin spoke with EMILY’s List president Stephanie Schriock and New York Times columnist Maureen Dowd. Dowd said she believes things will only get nastier between now and November 8th. “I think the next 55 days is going to be the craziest and the meanest slice of politics we’ve ever seen,” Dowd said. That includes the upcoming presidential debates, the first of which will be held on September 26th at Hofstra University in Hempstead, New York. NBC Nightly News anchor Lester Holt will moderate despite Donald Trump’s efforts to have no moderators at the debates. Dowd told MIP that it’s important to have someone on hand, especially because she believes both candidates have a fluid relationship with the truth. EMILY’s List, a political action committee dedicated to helping elect pro-choice Democratic women, has endorsed Hillary Clinton. Schriock told “Masters in Politics” hosts Tammy Haddad and Betsy Fischer Martin, that she believes women voters are really looking for candidates who are leading on strong economic issues based around the family, and is disheartened by the childcare policy plan Donald Trump announced this week. She wishes he had stuck closer to the plan his daughter Ivanka proposed at the Republican National Convention. Schriock considers Donald Trump’s announcement a half-hearted effort to woo back female Republican voters who are questioning whether they can support the nominee after some of the negative remarks he has made about women in the past and throughout the campaign.